“The Girl Detective” is a story by Nebula Award-winning author Kelly Link that was published by Event Horizon in April 1999. Good to get that out of the way. Now, onto the review! In a nutshell, an unnamed narrator tells the story of the equally unnamed “girl detective,” who lives in a fantastic world where she eats only dreams and makes clandestine visits to the underworld. Despite all her amazing talents and adventures, she has only one goal: to find out where her mother went. The narrator follows the girl detective through recurring motifs of twelve dancing girls, underwear embroidered with days of the week, and suspicious smiling waiters at Chinese restaurants. Ultimately, everything manages to work itself out, although there’s more speculation than actual explanation in this bizarre little tale. There are only two real characters in this story: the narrator and the girl detective. Everyone else just comes and goes in relation to them–more often than not, in relation to the girl detective that the narrator discusses. Twelve women frequently appear and reappear, most prominently as twelve dancing girls in sequins who rob banks and use the names of weekdays. 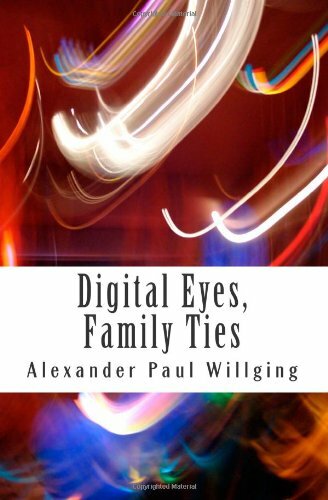 There are also Chinese waiters who may or may not be part of a criminal organization, and the girl detective’s father, who is too sad to ever mention her mother and whatever happened to her. This story is written in a very unusual fashion. Instead of being broken up into scenes, we’re treated to individual sections of narration divided up by bold-lettered headings like, “What the girl detective eats for dinner” or “Further secret origins of the girl detective.” There’s something of a linear progression to the story, but there’s so much surreal and unexplained activity that it’s hard to say for certain. I’ll admit that the final scene at an airport terminal does feel like a bittersweet triumph for the girl detective, but the last few lines make me question how reliable the narrator really is. It’s not a bad story, but if you’re not ready to concentrate and keep all the recurring imagery in mind, then you might have trouble with this story. It’s a bit longer than the previous stories in this anthology, but it’s sweet and fun and a little mad. But sometimes “sane” can be synonymous with “boring,” so I think this story is fun because it isn’t one hundred percent linear. Bibliography: Link, Kelly. 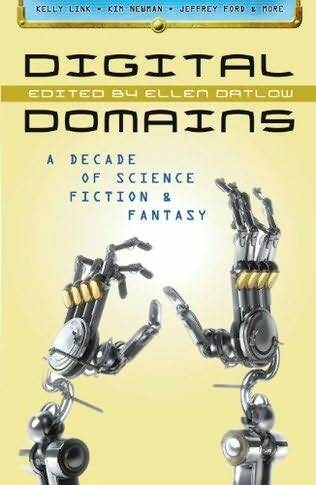 “The Girl Detective.” Digital Domains: A Decade of Science Fiction & Fantasy. Edited by Ellen Datlow. Prime Books, 2010.